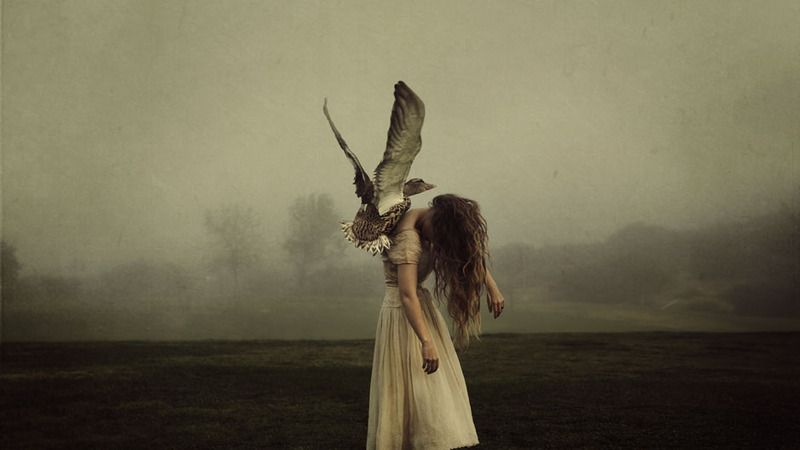 Brooke Shaden grew up near Amish Country in Lancaster, Pennsylvania, where she lived until attending Temple University. The area was rooted in nature, and Shaden often hiked with her father, or hunted for arrowheads in the neighboring fields and farms. She grew up in a home where imagination and creativity were encouraged and that attitude continued into adulthood. She studied Film and English at Temple University, and discovered a love for film-making and eventually photography. At 24, she was the youngest artist in the “Digital Darkroom” exhibit at the Annenberg Space for Photography. Her photographs have been likened to little films, each complete with character, tension, and a lush visual sense that might easily be called cinematic. Shaden spoke with us about the experience of picking up a camera and using Adobe Photoshop software to create art that blurs the lines between dreams and reality. 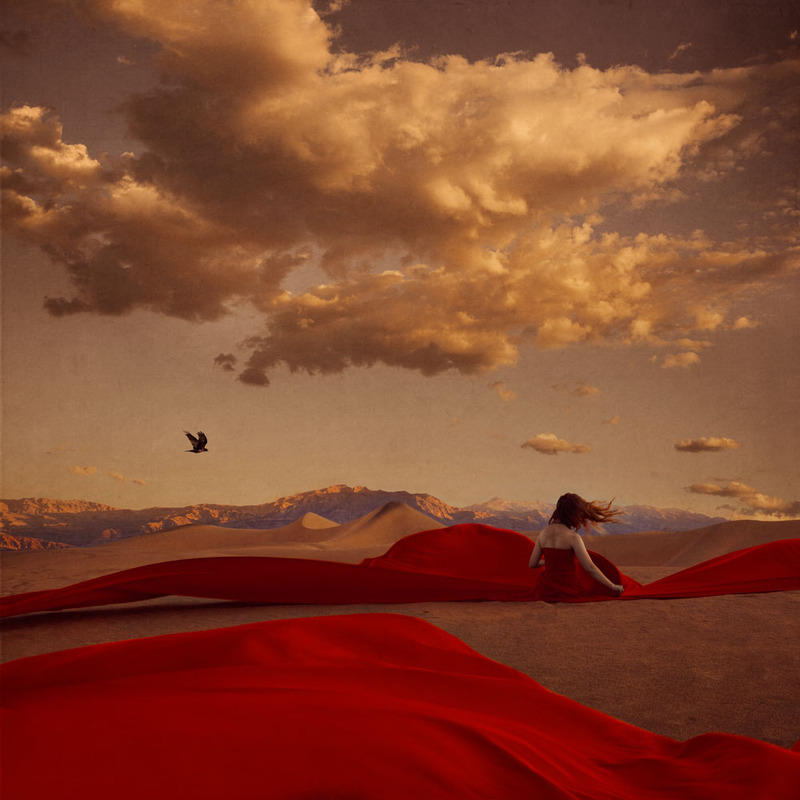 Brooke Shaden: For me, it’s my imagination. I think people often forget that imagination is a tool just like a camera or Photoshop. It lets me explore what makes me tick, and it’s the wellspring of all things possible—and seemingly impossible. Photoshop.com: Your photographs have a recognizable style that includes painterly techniques. What is the inspiration behind your artistic point of view? 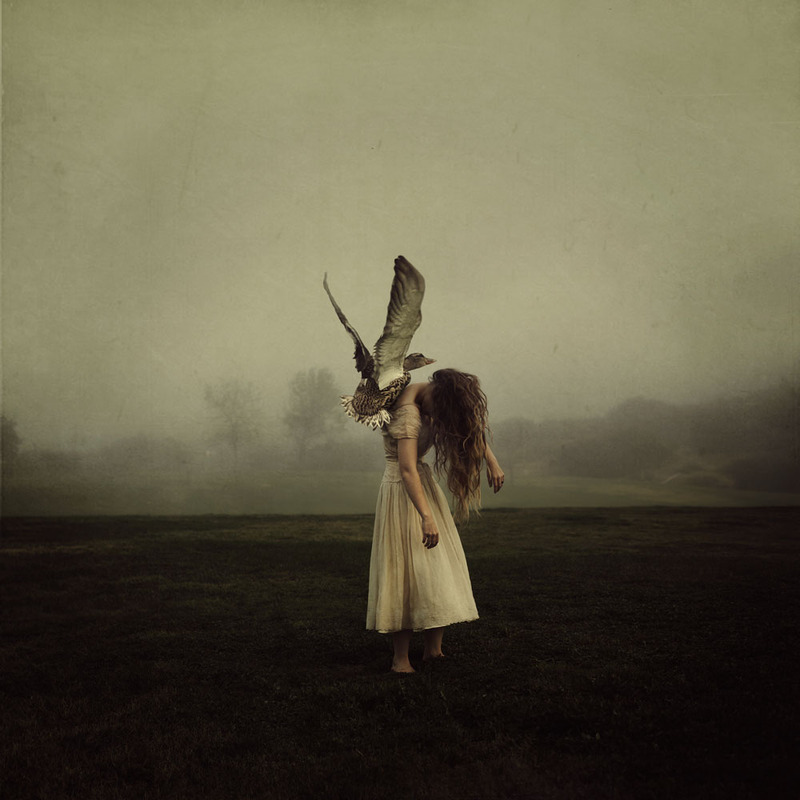 Brooke Shaden: For as long as I can remember, I have had dark daydreams or nightmares. When I picked up a camera for the first time, I felt like photography and Photoshop would help me confront my fears and help others get a glimpse of the surrealistic visions in my head. I had always loved making short films, yet it clicked for me that I could distill the kernel of a short film into one image—the moment of tension when the character cannot turn back from a fateful decision. In addition to telling a story, I often use photographs to explore new worlds, where secrets float out in the open. By using painterly techniques, I am able to create otherworldly experiences. Photoshop.com: What role does Photoshop play in your photography process? 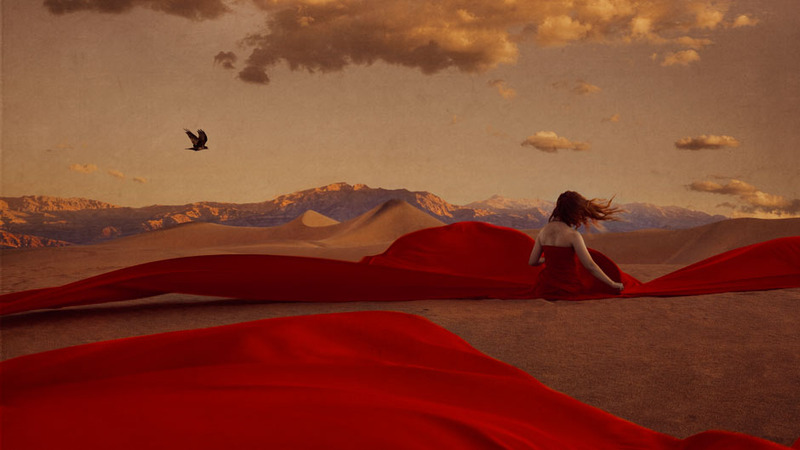 Brooke Shaden: Photoshop is huge. I spend a minimum of two—and sometimes up to 10 hours—in Photoshop working on a single picture. I use it like a paintbrush, creating many layers and always tweaking each one slightly to build on itself. It’s just like the canvas a painter might use—I just use it in a modernized way. When viewed as a canvas, Photoshop is not intimidating or scary to me; instead, it has helped me become the artist I want to be. Photoshop.com: What are your favorite features of Adobe Photoshop? 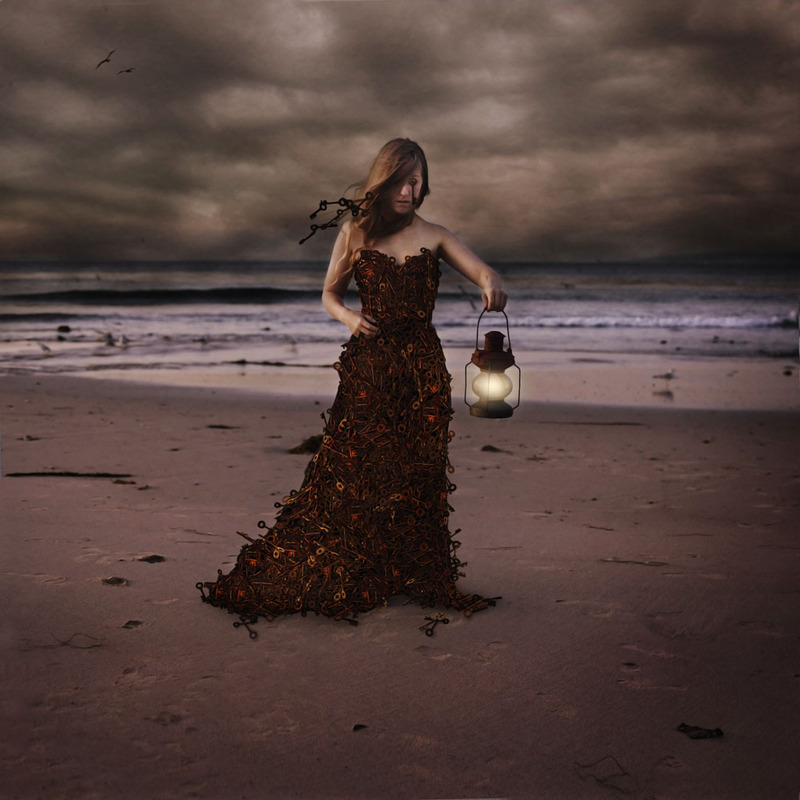 Brooke Shaden: My favorite tool is curves. That might not sound hugely exciting to some Photoshop users, but to me changing the color, contrast, brightness, and darkness of an image lets me create new worlds within an image. There are other tools that I use to create a signature style, such as the Reduce Noise option, one of the few filters that I go to, as well as Replace Color. Photoshop.com: How did you create the result in “The Keeper of Keys” image? 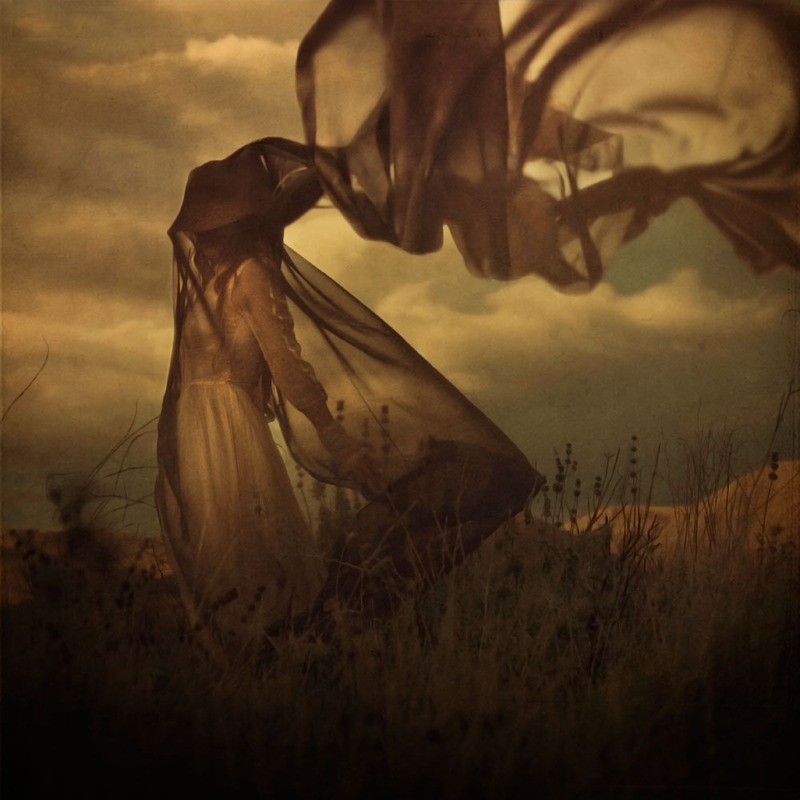 Brooke Shaden: My original thought was to create something beautiful out of being chained or trapped. The keys were literally bound to the subject, wrapping around her, yet not freeing her. The key, which should release her from confinement, were the exact things binding her. My goal was to play with this juxtaposition. Executing the image involved 1,000 layers of skeleton keys. I photographed various keys about 50 different ways, and then used Photoshop to tweak each slightly by hand and place them strategically to cover the subject’s body as though they were a dress. After the keys were in place, I added shading to create the illusion that light was hitting the dress. I lit the lantern in Photoshop and added a cloudy sky as a backdrop to the desolate beach. I added some birds and texture, and made many, many different color changes. This was one of my most labor-intensive endeavors—it took me roughly 25 hours. 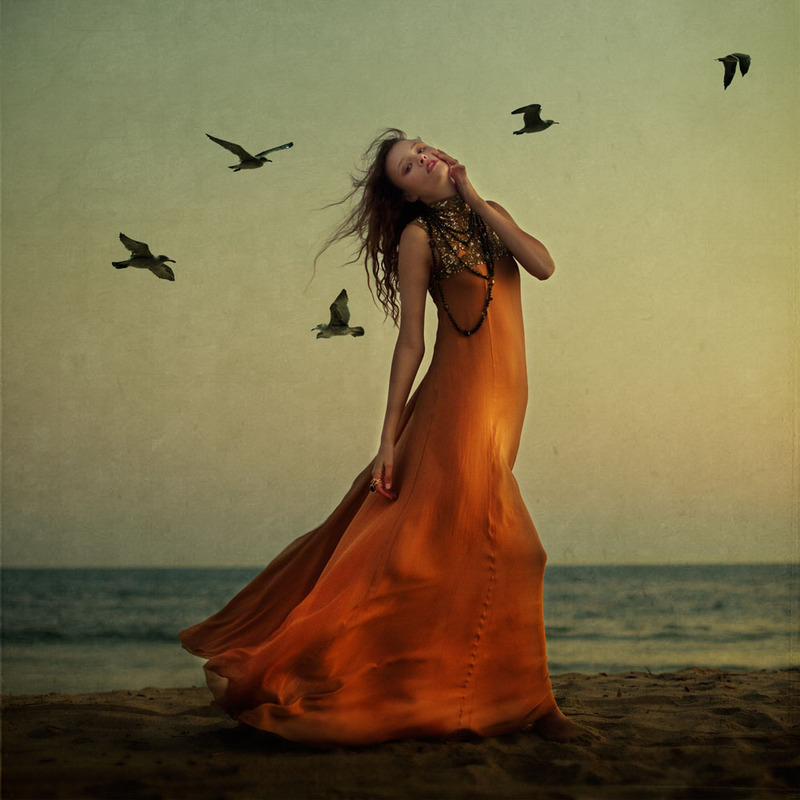 Brooke Shaden: The image "To Lift Her Up" is a recent favorite of mine because of its apparent simplicity. I had been waiting for fog, waking up at five a.m. every morning to check—and, one day, there it was. I first took a photo of the duck (Lucy the duck) and then composited the duck into the image in Photoshop so it looked as though the duck was lifting me up, or at least trying to. I wanted the subject to appear to have wings as well. I have a strong connection with animals and nature, and it’s a theme that flows through much of my work. Photoshop.com: How has your success winning photo competitions had an impact on your career? Brooke Shaden: To know that a photograph of mine was chosen out of many to represent a competition—that’s a humbling experience. I always take time to view other entries and to celebrate them. Being able to do TV interviews has helped in terms of getting my name out there, and having magazine features has been wonderful. People come to my workshops and say they found me because of such-and-such article that they read related to a competition, so that has been really gratifying. Photoshop.com: You have a large fan base and are active in social media with your blog. Why is that connection with fans important to you? 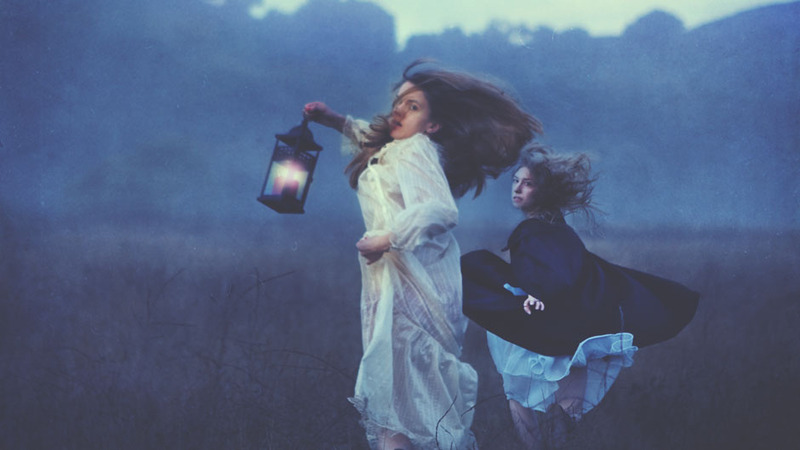 Brooke Shaden: Connecting with anyone and everyone is important to me, whether they are "fans" or not. If I can do anything with the voice I was given, I want to promote creativity and happiness. Even if a person dislikes my art, I want to speak out and let people know that if they can imagine it, then they can make it happen. Photoshop.com: As a young artist, what was it like to be part of the “Digital Darkroom” exhibit at the Annenberg Space for Photography? 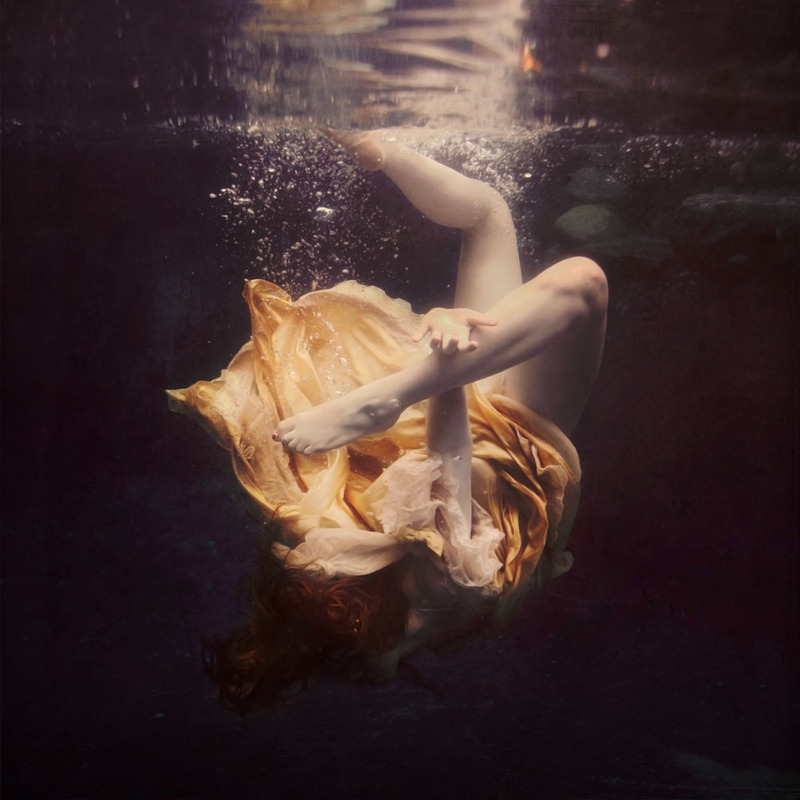 Brooke Shaden: That exhibition has been one of the most rewarding experiences of my life, not only my career. I met long-admired artists like Jerry Uelsmann and Maggie Taylor, and I was able to see up close what an exhibition of that magnitude can do. Looking around, people were so touched. Being the youngest artist exhibiting there, I went into it thinking that there would probably be some people who were skeptical of me, but, happily, that was not my experience. What I have learned is that age has nothing to do with art. Being the youngest in the exhibition was fun and brought some press my way. But in the end, the work speaks for itself and age is nothing but a number. 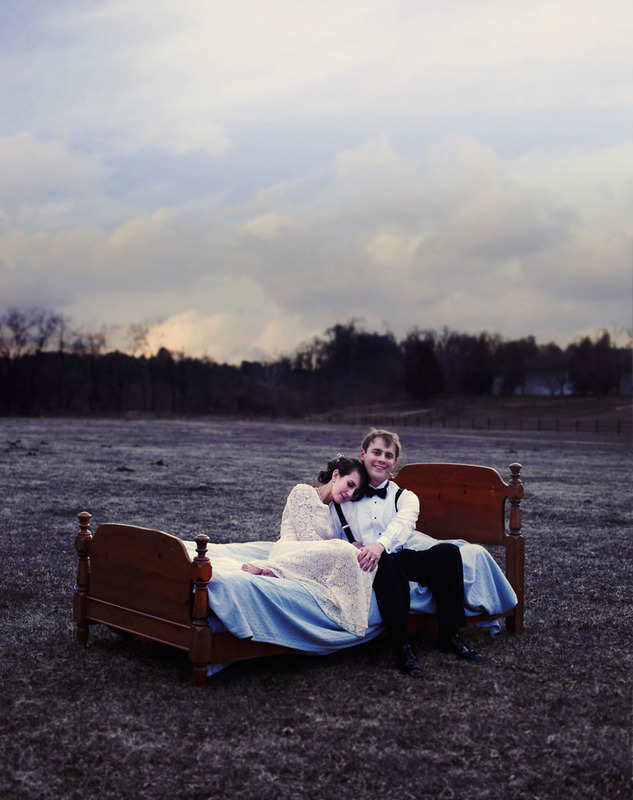 Photoshop.com: You often take on new projects including wedding photography that stretch your creative boundaries. Why is that important to you? 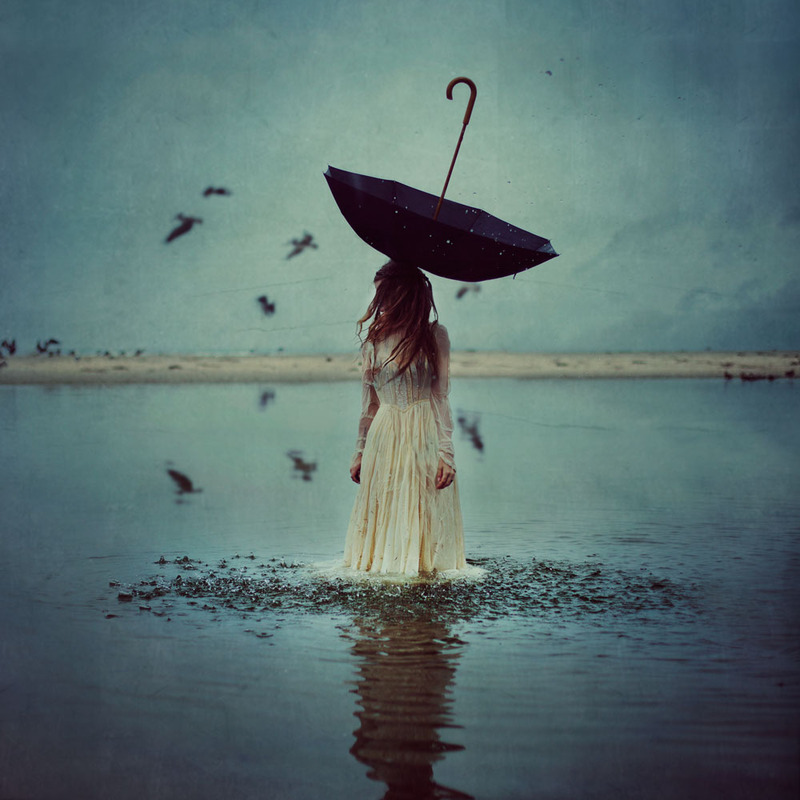 Brooke Shaden: I will, without fail, try everything twice. If you try things just once, then you may have one bad experience that taints what could be a great second one. 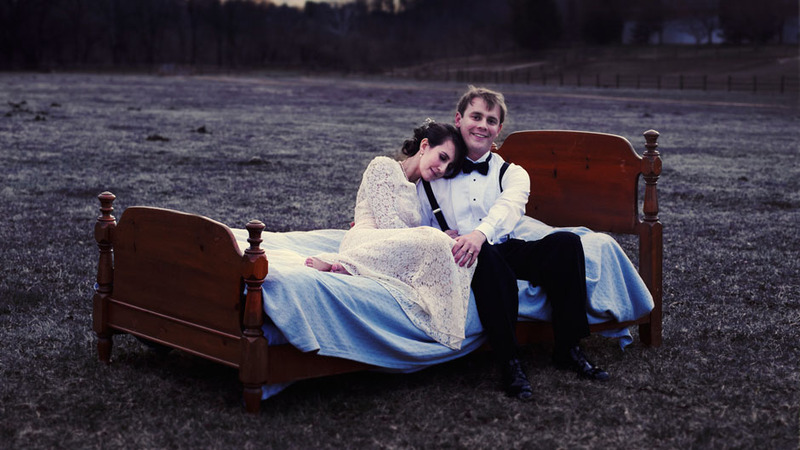 I have shot two weddings, but only as favors to friends. I did the best I could and I learned a lot from it. In the end, fine art photography is the best way for me to tell stories in still photos, and bring forth elements from my overactive imagination with nature as a backdrop. Photoshop.com: What is the best advice you ever received? 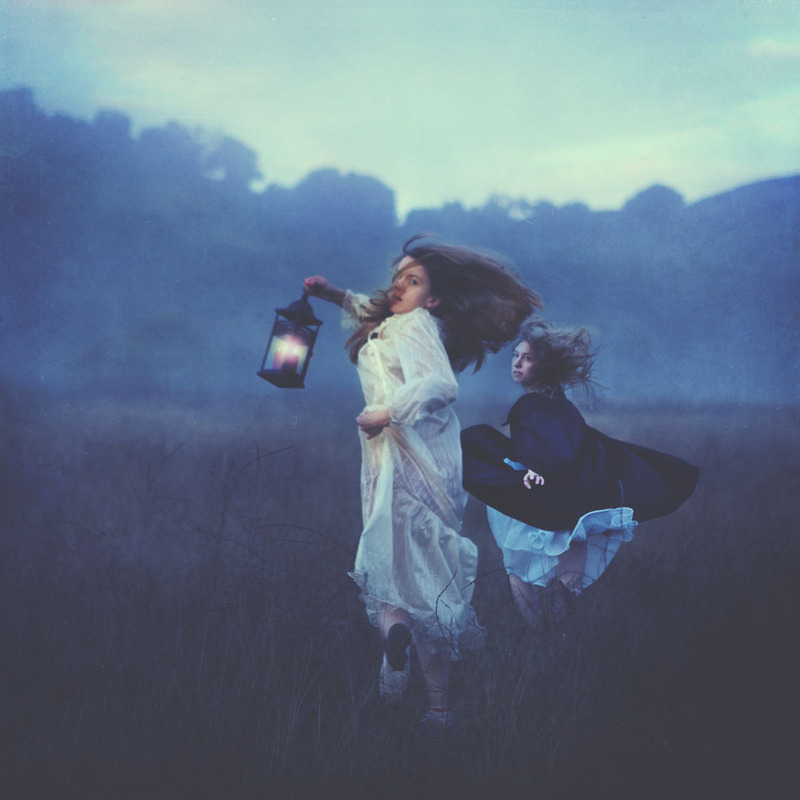 Brooke Shaden: As simple as it sounds, my mom always told me: “You never know until you try.” That has been a guiding force in my life and especially my career. The worst thing someone can say is no. Having tried and received some result is better than not trying and getting no results—that is what keeps me going. A lot of people assume that successful artists have things handed to them, but the truth is: success isn’t gift-wrapped. I believe in going after whatever your dream is, no matter how insane it sounds. In fact, the more insane the better, because reaching your dream will be even sweeter. My view on my career is very similar to how I saw Photoshop when I started. I went into it thinking, "If someone can do it, I can do it too," and so I taught myself Photoshop. I was never taught how to be a photographer or how to run a business, but I know what I want and how to go for it. In my opinion, those are the most important guiding principles a person can have, in careers and in life.